To determine what hardware generation your 9x radio is, you must remove the 6 case screws holding on the back of your radio and take a look inside. 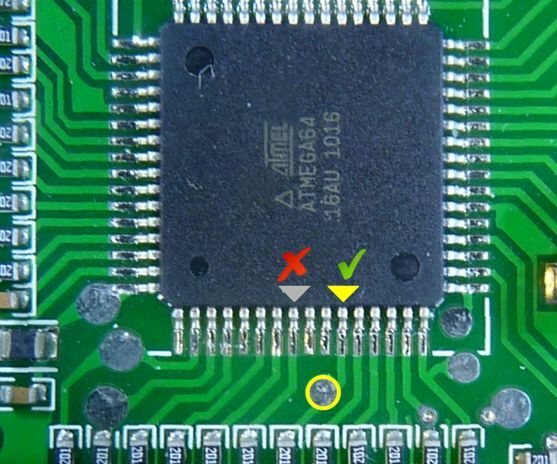 Use the picture below to locate the radio's CPU and pay particular attention to the highlighted circle, representing the "SCK solder pad". If your pad is in the same location as shown and is connected to the 6th CPU pin from the right then you have the 2nd generation hardware. If, however, your pad is connected to the 8th CPU pin from the left, then you have the 1st generation hardware. What's the difference? The SCK pin hasn't changed (its always been the 6th from the right) but in the early version, FlySky made a mistake with the pad location. So what can you do if you have 1st generation harware? You can still use our add-on board, but some soldering is now required. First you need to either remove the SCK pin from the add-on board, or put a piece of electrician's tape on the pin to prevent it from coming in contact with the incorrectly placed pad on your radio's board (I recommend tape just in case you want to move this board to a 2nd generation radio at a later date). Then solder one end of a wire to your radio's (true) SCK and the other end to the add-on board's SCK. For the radio, you could solder the wire directly to the 6th pin from the left shown above, but these tiny pins are difficult to isolate. Instead, if you follow the trace from the 6th pin you'll see it connects with a resistor which is slightly easier to solder a wire to. An example of this (on a 1st generation board) is shown below. 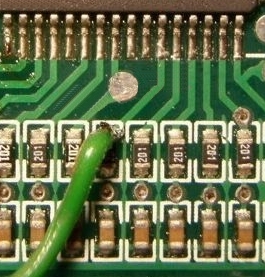 For connecting to the SCK on the add-on board, solder directly to the base of the SCK pin. So yes, you can use our add-on board on a 1st generation hardware 9x radio! But it requires a small amount of soldering to do so. We've been asked many times if we can make a 1st generation compatible version of our board, but it just isn't possible since the pad location of Gen 1 was a mistake and not just a design change. In other words, the SCK pad on the Gen 1 radio is NOT connected to the SCK pin of its CPU... and its the pin, not the pad, that makes programming possible. 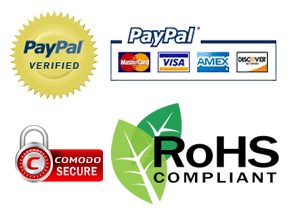 As always, feel free to contact us if something is not clear.